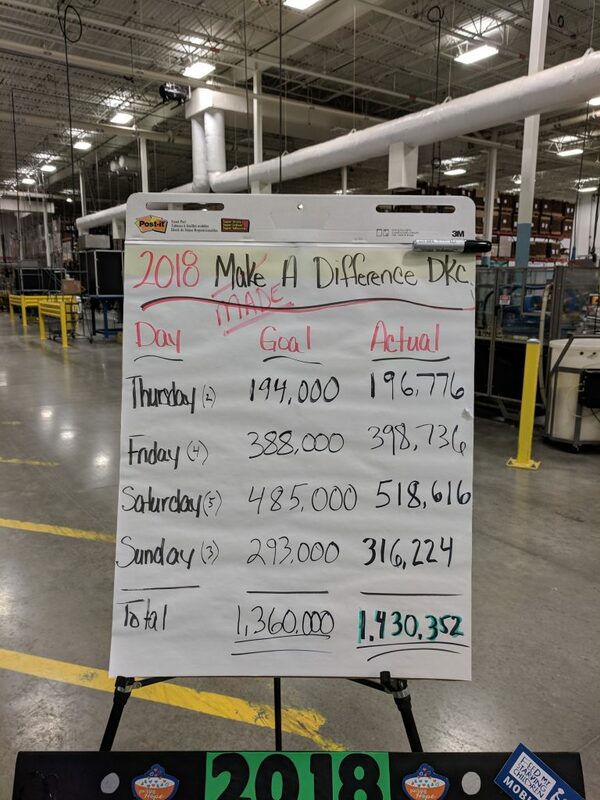 Feed My Starving Children 2018 Update - Sauber Mfg. Co. This past weekend our company co-sponsored and helped staff the Feed My Starving Children Mobile Pack. A Christian non-profit founded in 1987, Feed My Starving Children equips people to turn hunger into hope with their own two hands. Volunteers pack MannaPack meals, scientifically developed to reverse and prevent malnutrition. Then we donate the food to selected missions and humanitarian agencies worldwide, who use it to supply orphanages, schools, health care facilities, community feeding programs, and other institutions intervening in severe poverty. Rescued from hunger and its risks – including stunted development, ill health, slavery and even an early death – children can develop healthy bodies and minds. They can go to school, earn a living, and bring prosperity to their families, communities, and nations. Feed My Starving Children relies solely on a network of generous volunteers to pack every meal by hand. Whether at a permanent site or at a MobilePack event, each volunteer leaves the two-hour packing session more aware of their own good fortune and filled with inspiration that can only come from doing God’s life-saving work. In the fiscal year 2016/2017 more than one million FMSC volunteers packed over 280 million meals that were distributed to 70 countries around the globe. Here’s a link to success stories of feeding kids. Over 5000 volunteers packed 1,430,352 meals and raised over $315,000 to do it. A 50/50 Raffle also allowed us to share $12,904 with local non-profits. 40 Employee volunteers and their family members packed meals in addition to contributing $1390. The company matched those $1390 donations + $11,000. The company with its employees paid for 62,636 meals. Since 2010, we’ve packed enough meals for kids to fill Soldier Field to capacity over 6 times.